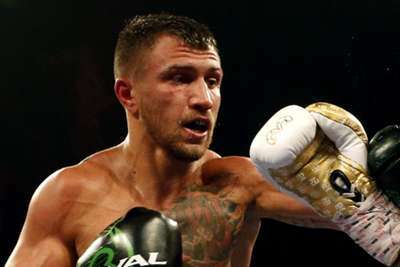 Vasyl Lomachenko unified the WBA and WBO lightweight titles after a unanimous decision win over Jose Pedraza on Saturday. Lomachenko was not at his best, but he was good enough to lock up a convincing win on the cards at 119-107, 117-109 and 117-109. The Ukrainian (12-1) did not look entirely comfortable early in the fight and that was understandable considering he is months removed from surgery to repair a torn labrum in his right shoulder. But once he settled in he controlled the fight down the stretch, especially in the 11th round when he knocked Pedraza (25-2) down twice. Earlier, a good portion of the world was introduced to young and dynamic lightweight Teofimo Lopez. The 21-year-old delivered a devastating knockout in all of 40 seconds to Mason Menard, a veteran of 38 fights. Lopez (11-0) caught Menard (34-4) a couple of times early and then delivered a huge shot to his opponent's right temple, ending the bout immediately.